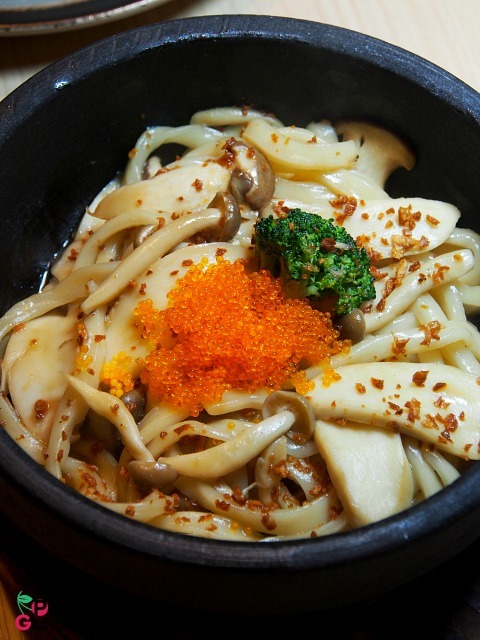 The name Manmaru Udon may have led many to believe that the place is an udon house. I was one of those who actually had that notion. Until recently, that is. 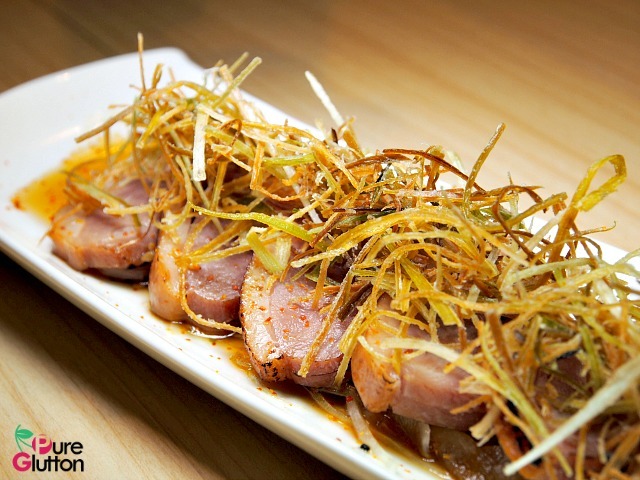 Besides their signature udons, Manmaru’s menu lists an extensive range of Japanese favourites. In fact, the choices are quite mind-boggling. 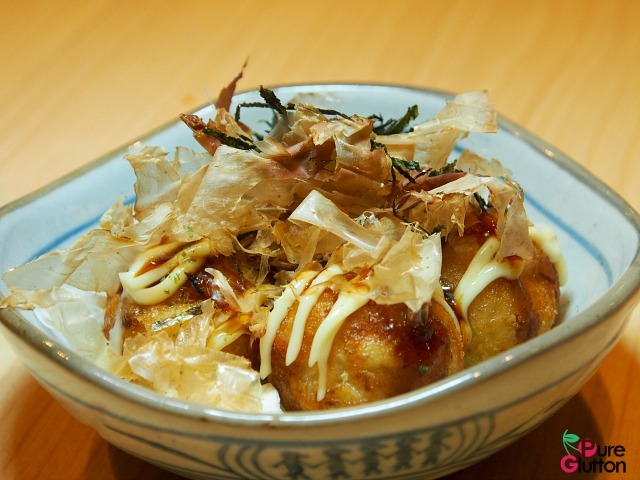 I’m a great fan of Japanese food but the funny thing is, I’m not really into their udon and ramen. 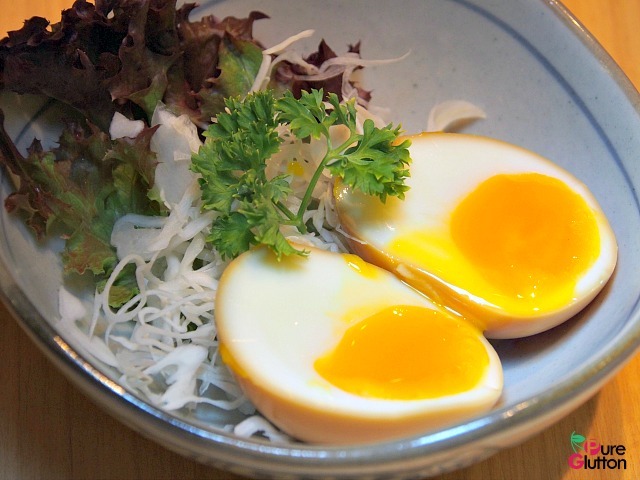 That’s the reason why I seldom go to ramen or udon houses. 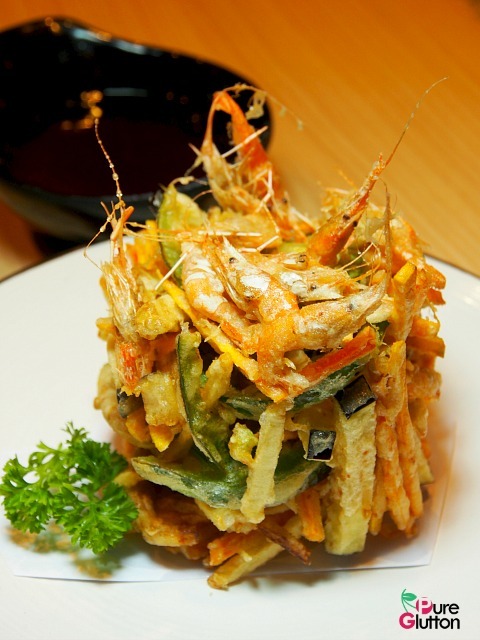 In a Japanese restaurant, you won’t find me ordering the noodles, not much, anyway. 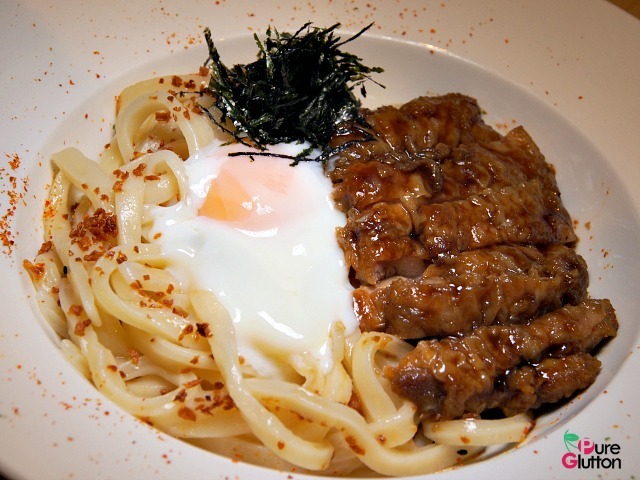 However, I will now make an exception for Manmaru Udon. Why? 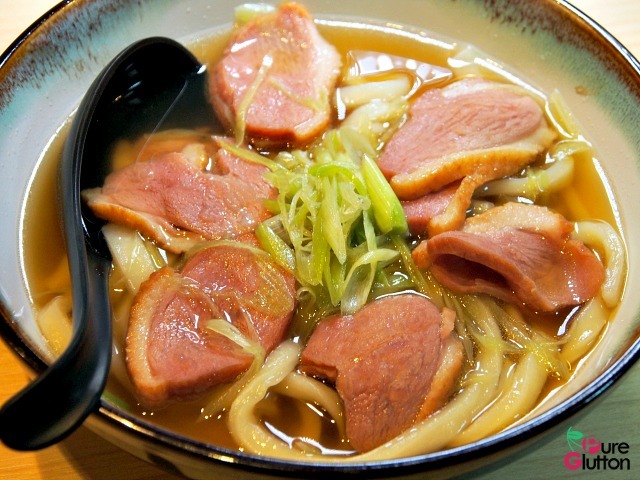 Simply because Manmaru Udon makes their own udon in-house every day. 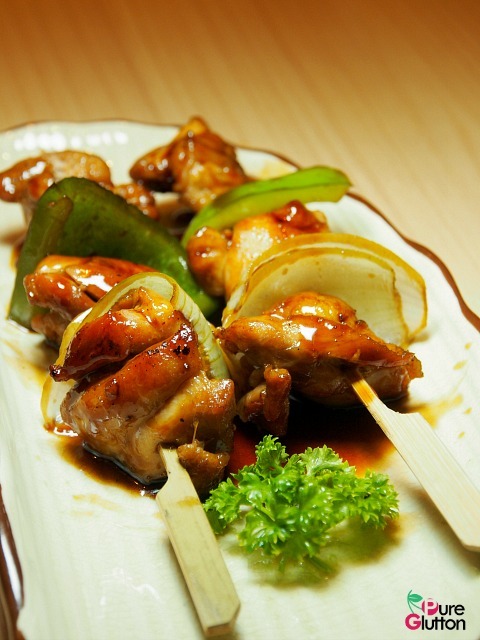 Yes, made from scratch, using only the finest premium flour and rolled out from their state-of-the-art machinery imported from Japan. None of the commercially-produced packed udon here. 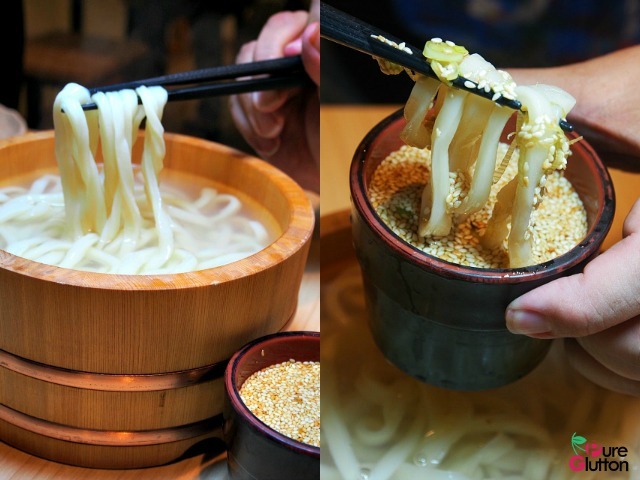 Each strand of udon in Manmaru is exactly 2ft long (because the machine is set at that specification) and that makes slurping them quite an acquired skill. 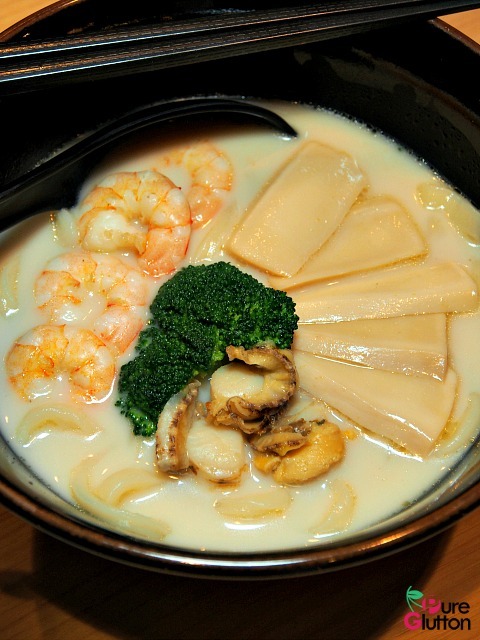 Freshly made and each individual bowl freshly cooked upon order, it is easy to love those smooth slippery bitey udon. 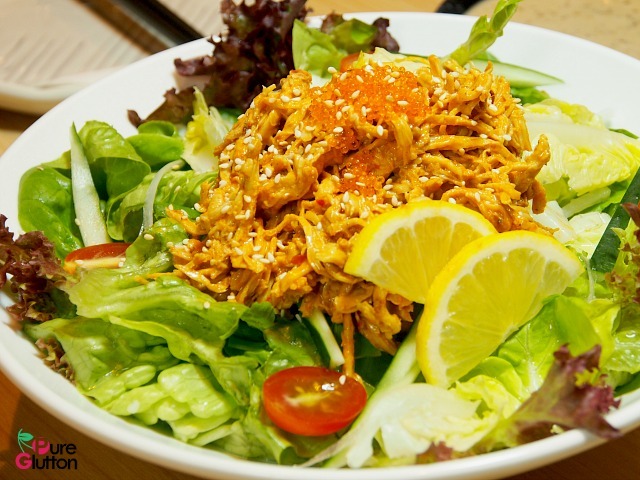 You will be spoiled for choices in terms of broths, condiments and toppings. 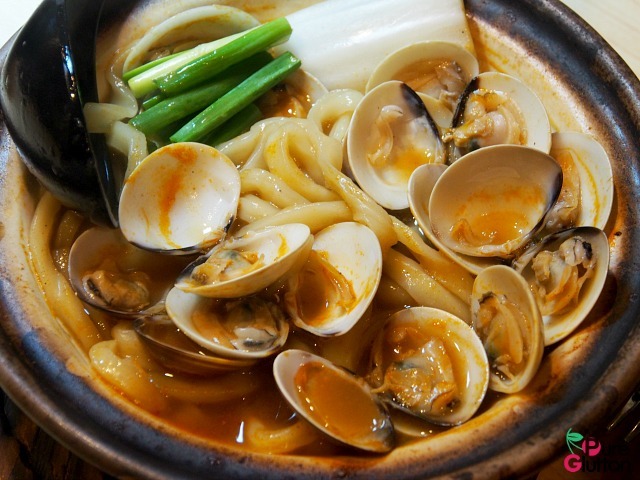 But first, the best way to enjoy Manmaru udon is to have it “naked”, the “kamaage” way. 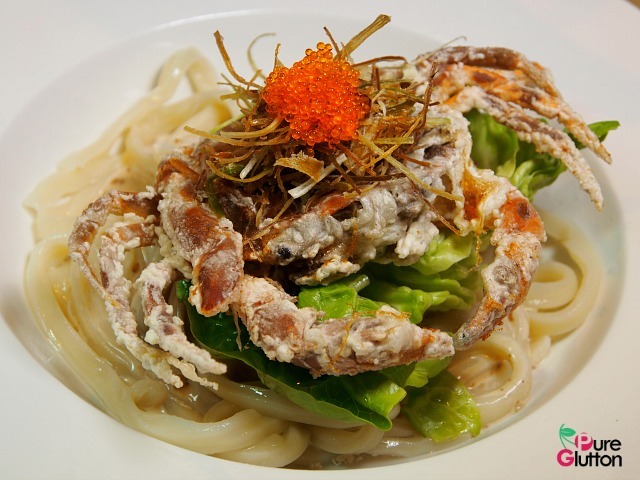 Kamaage Udon (RM12.90) – savour al dente udon goodness with warm kamaage sauce and experience its unadulterated flavour. 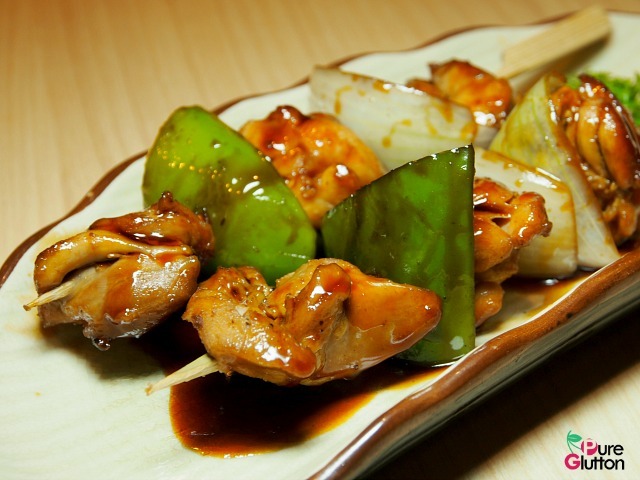 If soupy udons are not your thing, there are several stir-fry options and these aren’t any less delicious, believe me. 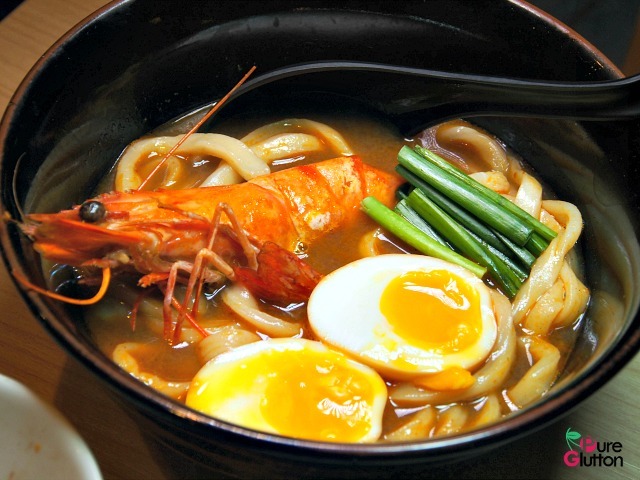 In fact, cooked this way, the udon absorbs the flavours better, resulting in more intense tastes. 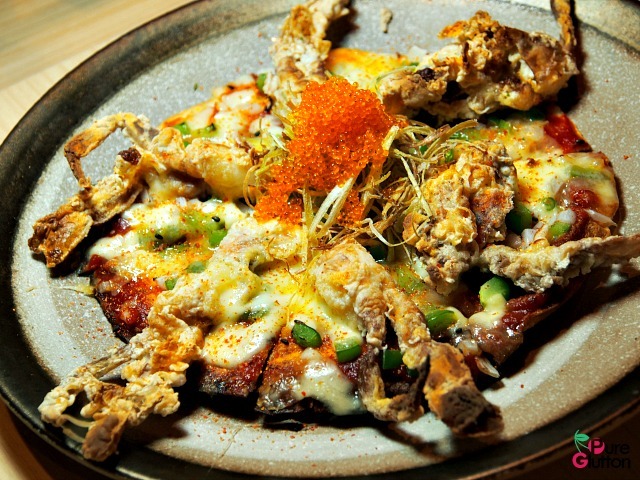 Soft Shell Crabs Sesame Udon (RM18.90) – really good! 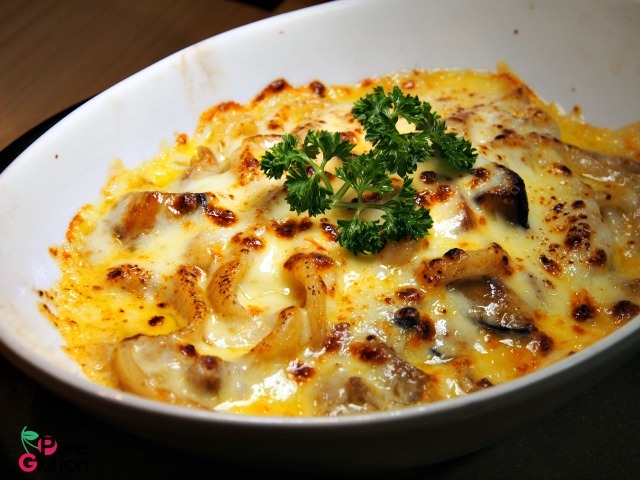 Baked Cheese Curry Udon (RM17.90) – Japanese curry udon with vegetables and cheese, simple fare but so satisfying! 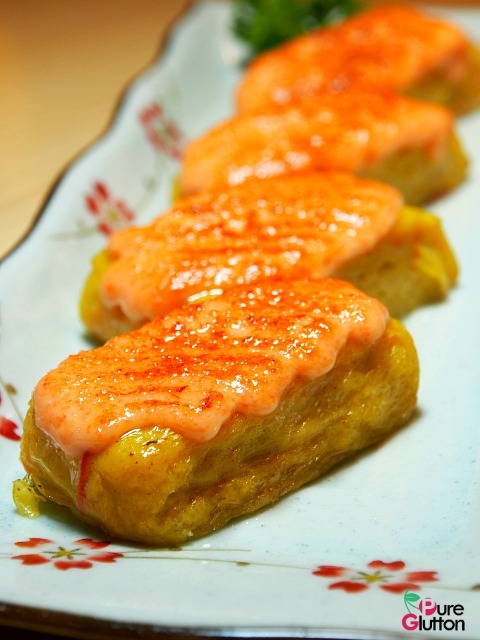 Kani Tamago Mentai (RM9.90) – grilled crabmeat omelette with cod roe and mayo. 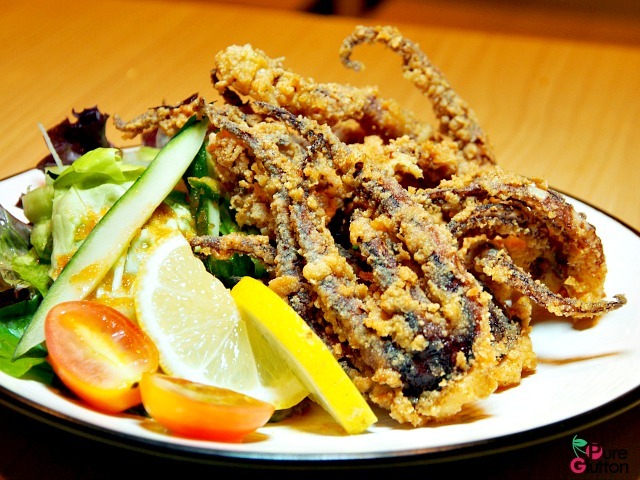 Warning: 1 serving may not be enough! 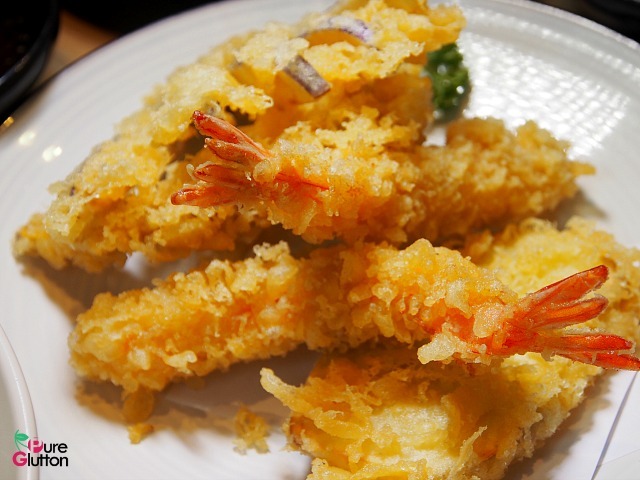 Ebi Tempura (RM9.90) – who doesn’t like this? 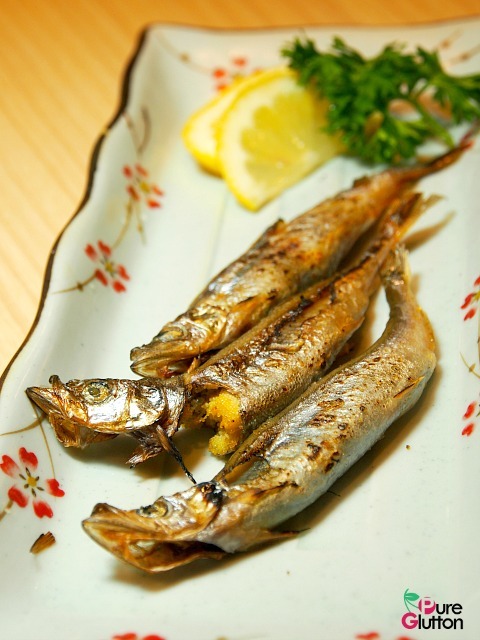 Shishamo (RM5.90) grilled smelt, always my favourite! 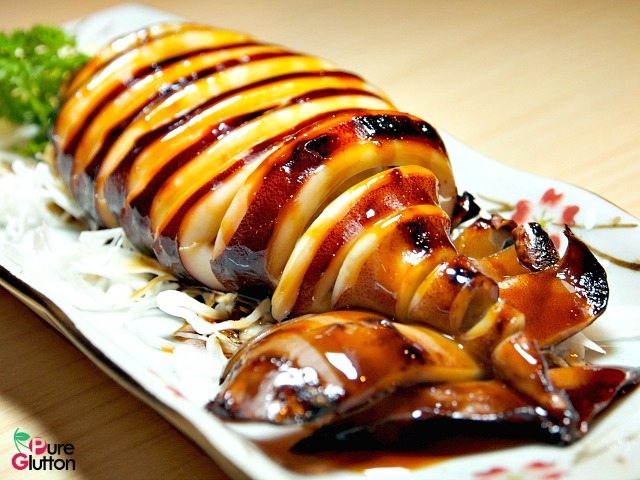 Ika Teriyaki (RM16.900 – grilled whole plump squid with teriyaki sauce – another favourite lah! 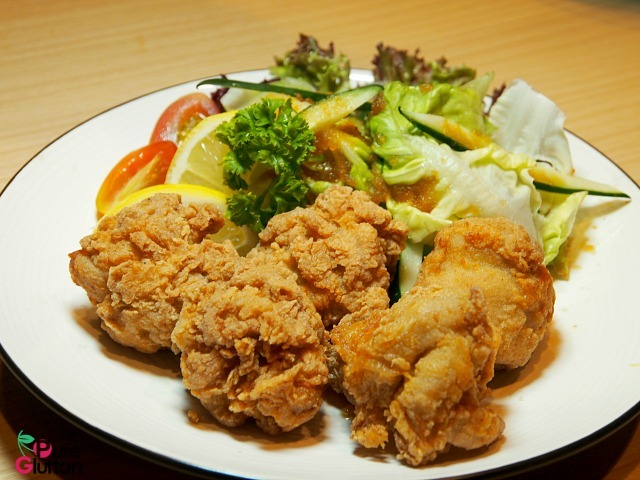 Tori Karaage (RM12.90) deep fried chicken – can’t go wrong with this: everyone’s favourite!